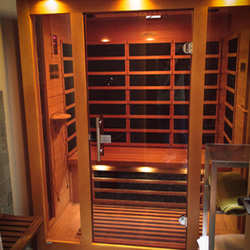 Nestled in the cottage behind the main building is our two-person (three possible) Far Infrared Sauna. The cottage also has a shower with fresh towels for your use. 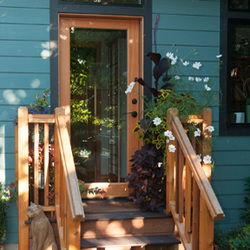 If you would like an appointment outside of the scheduling window or within 24 hours please call us directly at 206 436 9388. ​All appointments are for 30 minutes of sauna time and 15 minutes to shower/dress. Appointments made through our website or the app must be booked 24-hours in advance.